A few days ago, Matt Groening announced that his new animated series, Disenchantment, will premiere in August on Netflix. Under other circumstances, I might have been pleased by the prospect of another show from the creator of The Simpsons and Futurama—not to mention producers Bill Oakley and Josh Weinstein—and I expect that I’ll probably watch it. At the moment, however, it’s hard for me to think about Groening at all without recalling his recent reaction to the long overdue conversation around the character of Apu. When Bill Keveny of USA Today asked earlier this month if he had any thoughts on the subject, Groening replied: “Not really. I’m proud of what we do on the show. And I think it’s a time in our culture where people love to pretend they’re offended.” It was a profoundly disappointing statement, particularly after Hank Azaria himself had expressed his willingness to step aside from the role, and it was all the more disillusioning coming from a man whose work has been a part of my life for as long as I can remember. As I noted in my earlier post, the show’s unfeeling response to this issue is painful because it contradicts everything that The Simpsons was once supposed to represent. It was the smartest show on television; it was simply right about everything; it offered its fans an entire metaphorical language. And as the passage of time reveals that it suffered from its own set of blinders, it doesn’t just cast doubt on the series and its creators, but on the viewers, like me, who used it for so long as an intellectual benchmark. If someone is a jerk to you, but sincerely apologizes, it is important to be thick-skinned and accept that apology. If you are part of a lesser represented group, you don’t get a free pass on being a jerk yourself. We have had a few cases at Tesla were someone in a less represented group was actually given a job or promoted over more qualified highly represented candidates and then decided to sue Tesla for millions of dollars because they felt they weren’t promoted enough. That is obviously not cool. The last two lines, which were a clear reference to the case of A.J. Vandermeyden, tell us more about Musk’s idea of a “sincere apology” than he probably intended. And when Musk responded this week to criticism of Tesla’s safety and labor practices by accusing the nonprofit Center for Investigative Reporting of bias and proposing a site where users could provide a “credibility score” for individual journalists, he sounded a lot like the president whose circle of advisers he only reluctantly left. Musk, who benefited from years of uncritical coverage from people who will forgive anything as long as you talk about space travel, seems genuinely wounded by any form of criticism or scrutiny, and he lashes out just as Trump does—by questioning the motives of ordinary reporters or sources, whom he accuses of being in the pocket of unions or oil companies. Yet he’s also right to be worried. We’re living in a time when public figures and institutions are going to be judged by their responses to questions that they would rather avoid, which isn’t likely to change. And the media itself is hardly exempt. For the last two weeks, I’ve been waiting for The New Yorker to respond to stories about the actions of two of its most prominent contributors, Junot Díaz and the late David Foster Wallace. I’m not even sure what I want the magazine to do, exactly, except make an honest effort to grapple with the situation, and maybe even offer a valuable perspective, which is why I read it in the first place. (In all honesty, it fills much the same role in my life these days as The Simpsons did in my teens. As Norman Mailer wrote back in the sixties: “Hundreds of thousands, perhaps millions of people in the most established parts of the middle class kill their quickest impulses before they dare to act in such a way as to look ridiculous to the private eye of their taste whose style has been keyed by the eye of The New Yorker.”) As the days passed without any comment, I assumed that it was figuring out how to tackle an admittedly uncomfortable topic, and I didn’t expect it to rush. Now that we’ve reached the end of the month without any public engagement at all, however, I can only conclude that it’s deliberately ignoring the matter in hopes that it will go away. I hope that I’m wrong. But so far, it’s a discouraging omission from a magazine whose stories on Harvey Weinstein and Eric Schneiderman implicitly put it at the head of an entire movement. The New Yorker has evidently discovered that it’s harder to take such stands when they affect people whom we know or care about— which only means that it can get in line. Our historical moment has forced some of our smartest individuals and organizations to learn how to take criticism as well as to give it, and it’s often those whose observations about others have been the sharpest who turn out to be singularly incapable, as Clarice Starling once put it, when it comes to pointing that high-powered perception on themselves. (In this list, which is constantly being updated, I include Groening, Musk, The New Yorker, and about half the cast of Arrested Development.) But I can sympathize with their predicament, because I feel it nearly every day. My opinion of Musk has always been rather mixed, but nothing can dislodge the affection and gratitude that I feel toward the first eight seasons of The Simpsons, and I expect to approvingly link to an article in The New Yorker this time next week. But if our disenchantment forces us to question the icons whose influence is fundamental to our conception of ourselves, then perhaps it will have been worth the pain. Separating our affection for the product from those who produced it is a problem that we all have to confront, and it isn’t going to get any easier. As I was thinking about this post yesterday, the news broke that Morgan Freeman had been accused by multiple women of inappropriate behavior. In response, he issued a statement that read in part: “I apologize to anyone who felt uncomfortable or disrespected.” It reminded me a little of another man who once grudgingly said of some remarks that were caught on tape: “I apologize if anyone was offended.” But it sounds a lot better when you imagine it in Morgan Freeman’s voice. 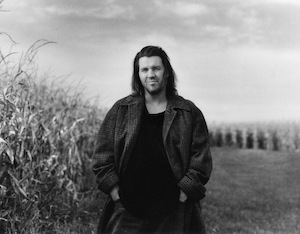 Reading the article, I was reminded of a similar list that David Foster Wallace once put together of his ten favorite novels, including such initially surprising choices as The Stand, The Sum of All Fears, and two novels by Thomas Harris. Some readers have suspected that Wallace was playing a gentle prank, since he’s elsewhere named such authors as DeLillo, Bartheleme, and Pynchon among his formative influences, but I don’t think that’s the case. Making a list of this kind is a statement, and what I see in Wallace—and to a lesser extent in Kubrick, who wasn’t aware that his opinions were being recorded for posterity—is the list of a working artist. When a critic makes a list like this, he tends to write it with one eye toward the canon, and he’ll often weight his choices toward historically significant works that he also happens to love. A writer or director, by contrast, tends to honor books or movies that he’s found useful in the context of his own work. And a real artist finds inspiration in places where most of us might never think to look. 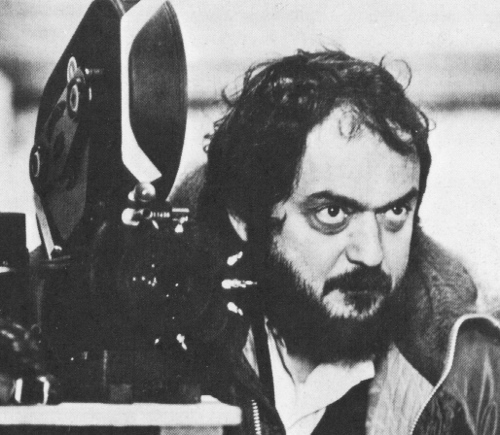 We know that Kubrick obsessively screened movies by directors he thought of as his peers—Spielberg, Coppola, Cameron—and that he was constantly on the lookout for innovations that would allow him to realize the stories he wanted to tell. Kubrick had as complete a set of technical resources and tools at his disposal as any director who ever lived, and after a certain point, a consummate artist comes to treasure small discoveries—a glance, an exchange of dialogue, a new way to scare or surprise the audience—as much as the big ones. I don’t doubt at all that Wallace knew that he had a lot to learn from Thomas Harris, or that Kubrick, who had thought so much about the portrayal of violence on film, would have responded strongly to The Texas Chainsaw Massacre. The greater the artist, the greater his appreciation of the new lessons he finds, no matter what the source. And to find them in the first place, you need to keep your eyes wide open. A physical book is a wonderful object, but one of its less appreciated features is the fact that you can easily turn pages in both directions. Most works of narrative art unfold in a fixed fashion—unless you pause and rewind, you can’t go back to an earlier scene of a television show or movie to clarify a point you missed, and you’re even more stuck if you’re watching a play—but printed books, while superficially linear, give you easy access to every page at once. In theory, so do electronic editions, but in practice, they’re less accessible than they seem, especially if, like me, you tend to remember where you read something earlier based on its physical location, and spend a minute or two scanning the bottom of every page on the left until you find the part you remember. Kindle books are great for a lot of things, but they aren’t especially good for skimming, and there’s something particularly satisfying about going back in a book to reread an earlier section while holding your current place with a finger. 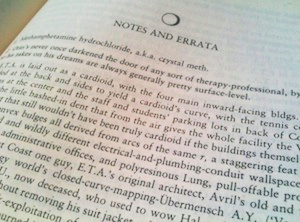 Well, it is cute, but it also works: the notes exist as a kind of parallel but separate entity, discursive and digressive, in a way that wouldn’t have worked nearly as well if Wallace has put them at the bottom of the page, as Nicholson Baker did in The Mezzanine. They also make the notion of the novel’s “end” deliberately unclear. 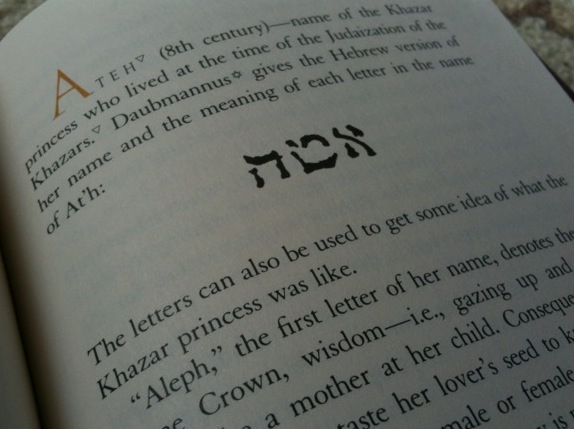 And I don’t think it would have the same impact in electronic form, with each note provided with a convenient link: much of the meaning of Wallace’s notes comes from the act of departure, in which we temporarily escape from the main continent of the text to visit a nearby peninsula. Similarly, books like Pavic’s Dictionary of the Khazars, Nabokov’s Pale Fire, or Danielewski’s House of Leaves, which essentially demand constant nonlinear navigation through the text, would lose much of their power on Kindle. We’re so used to moving from one link to another online that any structural novelty the books possess would disappear, or be rendered invisible, if they were read on a tablet or screen. In fact, it’s these weird, nonlinear antibooks that paradoxically make the strongest case for books as a physical medium. These stories push deliberately against the constraints of their form, but that doesn’t mean they want to be liberated: they gain their significance from the act of turning pages back and forth. And there’s a related point here that needs to be stressed. There’s been a lot of discussion about the future of the book, and of how novels and stories can fully utilize the act of reading online. But all of our great novels are hypertexts already. As far back as Dante, you had an author who was hoping to be read both vertically and horizontally—each canto in The Divine Comedy has thematic parallels with the canto of the same number in the two other sections—and any reader of Ulysses or Gravity’s Rainbow ends up confronting every part of the text in relation to any other. 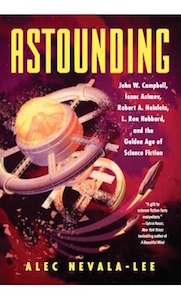 Which implies, at least to me, that the true future of the electronic novel is one that pushes the other way: toward an unnatural linearity that removes the possibility of going back. Of course, I have no idea how this would look. But it’s exciting to think about.